Mergers and acquisitions are back. Seeking Alpha just said: "Over the past few weeks, there has been a resurgence in acquisition activity, fueling an already strong market rally. This news has spanned all regions of the economy ranging from the transportation sector (Burlington Northern being taken over by Berkshire Hathaway) to pharmaceuticals (Schering Plough being acquired by Merck). Most recently, in the consumer sector, Kraft announced its intention to take over confectionery giant Cadbury while Hewlett Packard announced plans to buy 3com." When M&A numbers climb, so do Foreign Corrupt Practices Act enforcement actions. That's because all acquisitions involve due diligence, either before or after the deal is done. 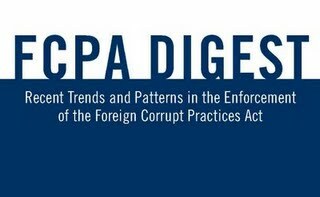 Due diligence is one way potential FCPA offenses are discovered. And once discovered, most are now self-reported to the Justice Department or the Securities and Exchange Commission. Directors protect themselves through disclosure. Beyond that, buyers in friendly M&A deals commonly insist that the target's compliance problems be reported and resolved before the closing. In the past, M&A activity has led to some well-known FCPA enforcement actions. Cardinal Health's 2003 acquisition of Syncor produced FCPA precedents concerning an acquirer's pre-merger due diligence obligations and successor liability. Titan Corporation's FCPA violations were discovered after a Lockheed tender offer. Lockheed aborted the offer and in 2005 Titan paid a record $28.5 million for its FCPA settlement. More recently, M&A activity resulted in enforcement actions involving Delta Pine, Aibel, and Latin Node, among others. In May, Sun Microsystems self-disclosed an internal investigation into possible FCPA violations discovered during due diligence for Oracle's takeover bid. And last year, Halliburton's clumsy attempt to buy British firm Expro through a hostile takeover produced the most intrusive Justice Department FCPA Opinion Procedure Release on record. The current M&A wave, combined with the DOJ's already sharpening focus on the FCPA, means there's lots more enforcement action on the way. Where do FCPA cases come from? In remarks yesterday to the National Forum on the Foreign Corrupt Practices Act, Assistant Attorney General Lanny Breuer said this: "Although many of these cases come to us through voluntary disclosures, which we certainly encourage and will appropriately reward, I want to be clear: the majority of our cases do not come from voluntary disclosures. They are the result of pro-active investigations, whistleblower tips, newspaper stories, referrals from our law enforcement counterparts in foreign countries, and our Embassy personnel abroad, among other sources. I have personally traveled abroad and spoken with Embassy personnel about this issue." A copy of Lanny Breuer's November 17, 2009 remarks can be downloaded here. Presidential Proclamation 7750 allows the State Department to deny visas to foreign kleptocrats and their families. It was signed into law in 2004 and by 2006 it was being called a key tool in America's anti-corruption arsenal. (The FCPA reaches bribe payers but not bribe takers.) Yet we could say without exaggeration in a post last week that the U.S. press had completely ignored Proclamation 7750. In 2004, George W. Bush issued Presidential Proclamation 7750, which barred corrupt foreign officials from entering the United States and ordered the State Department to compile a list of banned individuals. Three years later Congress approved a complementary measure that said the State Department should take special heed to bar officials when there was “credible evidence” to believe they were involved in the theft of natural resources revenues. Last July, the State Department issued a report noting that corruption eroded “confidence in democratic institutions” and that fighting it was a central tenet of American foreign policy. The report also stated that the Obama administration would “vigorously” enforce 7750, better known as the Anti-Kleptocracy Intiative, and give particularly close scrutiny to visa requests from individuals involved in corruption involving natural resources. And somewhat improbably, the New York Times carried its own story on the same day by Ian Urbina about Teodoro Nguema Obiang that also featured the hitherto invisible Proclamation 7750. After five years, what a difference a week makes. I have a question for anyone on the FCPA blog, a reader wrote ten days ago: Are there any known cases where an individual was prosecuted allegedly for bribing a foreign official where the "donor" did not ask for anything from the foreign official and where he received nothing? Can there be a crime without criminal intent? We assume the question is sincere and not a send up related to the Kay case. The petition for cert in Kay is on the docket of the Justice's opening conference today for the Supreme Court's October 2008 term. Part of the defendants - appellants' argument is that bribes to reduce company taxes aren't paid to "assist in obtaining or retaining business," and therefore don't satisfy the FCPA's business nexus element. Pushing their argument further, the U.S. Chamber of Commerce says in its amicus brief that the Fifth Circuit's decisions in Kay have obliterated the business nexus element, exposing U.S. executives to potential prosecution for nearly any contact with a foreign official. That argument sounds like the question posed by our reader -- Have there been any FCPA prosecutions based on donations to a foreign official where there was no quid pro quo? The Fifth Circuit itself says in Kay that an FCPA offense requires a corrupt intent. The elements, it says, are (1) to willfully (2) make use of the mails or any means or instrumentality of interstate commerce (3) to corruptly (4) in furtherance of an offer, payment, promise to pay, or authorization of the payment of any money, or offer, gift, promise to give, or authorization of the giving of anything of value to (5) any foreign official (6) for purposes of either influencing any act or decision of such foreign official in his official capacity or inducing such foreign official to do or omit to do any act in violation of the lawful duty of such official or securing any improper advantage (7) in order to assist in obtaining or retaining business for or with, or directing business to, any person. See the Fifth Circuit's Opinion in U.S. v. Kay (October 24, 2007) here. (1) Government inspection reports and laboratory certifications. See SEC v. Delta & Pine Land Co. at our post here. (2) Reductions in annual employment tax obligations. See In the Matter of Bristow Group Inc. at our post here. (3) Reductions in general tax obligations. In the Matter of Baker Hughes Inc., SEC Admin. Proceeding File No. 3-10572, Cease & Desist Order (Sept. 12, 2001), available at http://www.sec.gov/litigation/admin/34-44784.htm; SEC v. KPMG Siddharta Siddharta & Harsono, No. H-01-3105 (S.D. Tex. filed Sept. 11, 2001); SEC v. Mattson, No. H-01-3106 (S.D. Tex. filed Sept. 11, 2001). (4) Refunds on previous tax payments. SEC v. Triton Energy Corp., No. 97-cv-00401-RMU (D.D.C. filed Feb. 27, 1997). (5) Customs clearance for goods or equipment that were improperly or illegally imported. In the Matter of BJ Servs. Co., SEC Admin. Proceeding File No. 3-11427, Cease & Desist Order (Mar. 10, 2004), available at http://www.gov/litigation/admin/34-49390.htm. (6) Customs clearance for goods delayed due to the failure to post bonds with sufficient funds to cover duties and tariffs. United States v. Vetco Gray Controls Inc., No. 07-cr-004 (S.D. Tex. filed Jan. 5, 2007). (7) Encourage the repeal or amendment of national regulations limiting foreign investments. SEC v. BellSouth Corp., No. 02-cv-00113-ODE (N.D. Ga. filed Jan. 15, 2002). (8) Repeal of a government decree requiring an environmental impact study to be conducted. See News Release, Monsanto Announces Settlements With DOJ and SEC Related to Indonesia (Jan. 6, 2005), available at http://Monsanto.mediaroom.com/index.php?s=43&item=278. (9) Expedited government registration certifications required by law to produce, warehouse, or market products in the country. See SEC v. Dow Chem. Co., No. 07-cv-336 (D.D.C. filed Feb. 12, 2007). (10) Beneficial changes to laws and regulations relating to land development. United States v. Halford, No. 01-cr-00221-SOW-1 (W.D. Mo. filed Aug. 3, 2001); United States v. Reitz, No. 01-cr-00222-SOW-1 (W.D. Mo. filed Aug. 3, 2001); United States v. King, No. 01-cr-0190-DW (W.D. Mo. filed June 27, 2001). The United States Attorneys' Manual hasn't been changed since the Fifth Circuit's opinions in Kay. It says there is no criminal violation without a corrupt intent. Under the FCPA, the person making or authorizing the payment must have a corrupt intent. The payment must be intended to induce the recipient to misuse his official position to direct business wrongfully to the payer or to any other person. The FCPA prohibits any corrupt payment intended to influence any act or decision of a foreign official in his or her official capacity, to induce the official to do or omit to do any act in violation of his or her lawful duty, to obtain any improper advantage, or to induce a foreign official improperly to use his or her influence with other government officials or agencies to affect or influence any act or decision. Where such intent is present, the FCPA prohibits paying, offering, promising to pay (or authorizing to pay or offer) money or anything of value. The FCPA does not require that a corrupt act succeed in its purpose. The offer or promise of a corrupt payment can constitute a violation of the statute. See Title 9, Criminal Resource Manual §1018 “Prohibited Foreign Corrupt Practices” (November 2000), available here. If there is an example of an antibribery prosecution based on a "donation" without a quid pro quo, the Chamber of Commerce would have headlined it. Nothing would better support its argument that U.S. executives should be fearful of criminal prosecution under the FCPA for conduct that is either innocent or at least not expressly prohibited by the statute. The business nexus element of an offense has been broadened through aggressive enforcement. In the government's view, bribes to foreign officials intended to assist a company to obtain or retain business by giving it an unfair commercial advantage are consistent with the words and history of the statute and fair game for punishment. And so far, at least, there hasn't been a criminal prosecution based on bribes to foreign officials -- or, as our reader puts it, based on donations -- where nothing was asked for or given in return. The Kay petition for certiorari and all cert-stage briefs including the U.S. Chamber of Commerce's amicus brief are available at scotusblog.com here. View our prior post about Kay here.